Your signature is unique – It is a symbol of your identity and is the mark that you use to represent yourself to the world. It is one of the most personal things about a person –the distillation of a one –of –a –kind personality in to a mark that was developed over the course of a life. 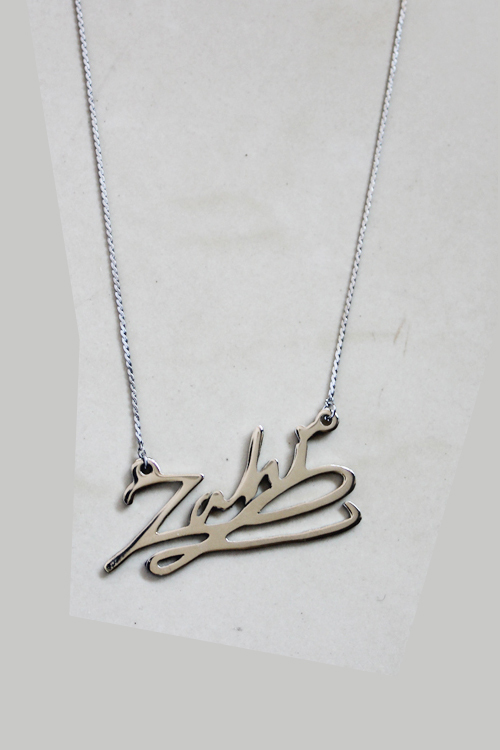 Whether you choose to wear your own John hancock or honor a loved one by wearing theirs, our signature necklace is apersonal as it gets. Personalize it with custom calligraphy,drawing or signature. 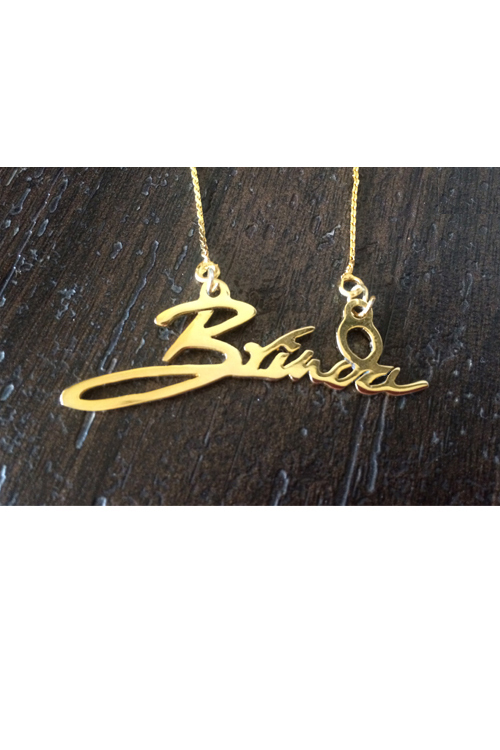 Signature necklaces that allow fashion girls to coin everything from their favourite phrases their names . Taking your personal signature and amplifying in to wearables,its fun to take on a moniker and embody it with finesse and flair. Calligraphy necklace the perfect “way to grab some prose and push it in to the limit”. .